Summer can at times feel so far away from the west coast of Canada, especially after breaking precipitation records for several months. The sun has come around recently and while people here are skilled at getting out to “aprovecharlo” (make the most of it), I can become frustrated when the sun doesn’t stay for long. I try to keep busy and not spend too many hours in front of a computer, but that is hard as a first year teacher. Sometimes, looking at pictures of sunnier days brightens my day. 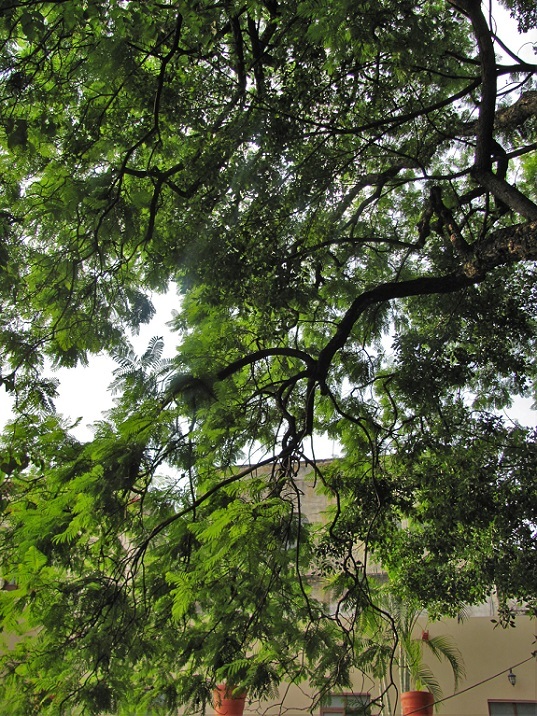 Here’s a photo of a magnificent tree in Cuernavaca, Mexico, one that provided shade for an entire (small) park nestled in between two busy downtown streets. Imagine a few dozens birds happily chirping as they enjoyed the coolness of the twisted branches, and every single park bench below occupied by people looking for a fresh retreat in the hottest part of the July afternoon, and you can start to appreciate the beauty of this natural oasis. I wish you a cheerful week ahead!